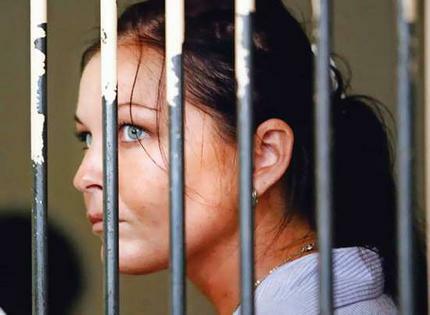 Airdate: Schapelle Corby: The Hidden Truth. Updated: Repeat screening of Part One 12 midday Tuesday June 24. The Nine Network will screen a two part news special Schapelle Corby: The Hidden Truth. CSI and Without a Trace will be held over for the week. The Nine Network will telecast an explosive two-part documentary revealing the factual and intimate detail of the arrest, trial and jailing of Schapelle Corby for drug trafficking in Bali. Nine Chief Executive Officer David Gyngell announced today the outstanding documentary would air in two parts at 8.30pm this Sunday June 22, and on Tuesday, June 24. Mr Gyngell said Schapelle Corby – The Hidden Truth was the definitive work on the Corby saga, the most publicised and debated event involving any Australian in recent memory. “This is riveting, must-see television,” he said. “It’s a fly-on-the-wall, warts-and-all account of what actually happened at every step of the Schapelle Corby story, caught on camera by award-winning independent documentary producer, Janine Hosking, over three and a half years of painstaking filming and research. The result is the most powerful, and emotional observational documentary I have ever seen. “Forget what you’ve seen, read and heard about the Corby story – and take up an extraordinary eye witness vantage point for the first time, from which you can make your own informed judgment. This film will challenge, indeed explode, all sorts of myths and beliefs the public has held until now. Mr Gyngell said the towering strength of Janine Hosking’s film was her unprecedented access to every major participant in the Corby story. From countless hours of filming with Schapelle herself on hidden camera in her Bali jail cell, through the most intimate and personal on-camera access to her whole family throughout the struggle for her freedom, to the extraordinary inner workings of her defence team, and exclusive access to critical players in the drama who’ve never spoken publicly before now. These include the Customs officer who intercepted her boogie bag; the mysterious drug-cultivating neighbour of Mick Corby, Schapelle’s late father; the star witness at trial; the convicted Australian drug trafficker who visited Corby in jail; the Qantas baggage handler; Mercedes Corby’s Indonesian husband; Schapelle Corby’s father, brother and two half brothers …and more . “By any standard, this is compelling viewing. I rate it alongside Underbelly as one of the finest pieces of television Australia has produced. The difference is of course that Underbelly was a drama series based on fact. This is fact, plain and simple. Produced in the style of Australian Story, totally non-partisan and relying exclusively on the real-life cast. “In its making Janine Hosking has neither sought nor extended any favour to anyone. Her sole undertaking to the Corby family was not to release her documentary publicly until Schapelle’s case was determined, and all avenues for appeal exhausted. “The pay off for Janine, and now for a wide Australian audience, is that her real-life documentary cast at all times tell it like it is,” Mr Gyngell said. Janine Hosking said she was thrilled the Nine Network was telecasting her documentary. Does anyone know where I could locate “Schapelle Corby: The Hidden Truth?” I’m researching the case and I have been unable to find it for viewing online or for purchase as a DVD. Please help me out if you know. Well i was switching channels and for a person who knew nothing about this,it caught me by storm and just kept me glued to tv.Amazing video,3 years of filming and also the risk of being killed for getting the truth out needs a pat on the back.I really wanna see the second half of the episode.. hats off to the Janine Hosking great work. what a waste of life,i hope she comes out and does something good for the country in her later part of life. Janine Hosking…indepedant documentary what a load of rubbish…how much have channel nine paid for this one sided dribble you have produced…you have lost all credibility as a indepedant film maker …sold your self out and can no longer be believed. Of course she is guilty! And the Indonesian Drug problem is one hundred times worse than ours so there laws are stringent to try tackle the huge problem. Corby is damn lucky she didn’t get the death penalty. I’ll check this show out, its an interesting story, if your luggage is a couple kilo heavier and your in Indonesia you don’t ignore it. She knew what was in there. As far as a corrupt system, no countries system is squeaky clean. “Disgruntled”, this isn’t the forum for debate on this one, but suffice to say, any justice system that requires an accused person to prove their innocence is flawed from the outset. And one which has been repeatedly documented to accept bribes to achieve a politically acceptable result… well, enough said. Your comment implies that you have decided for yourself that she was guilty. That’s a pretty spurious assumption. indonesia have a different law system to ours..
corby had to PROVE her innocence.. unlike here where the police have to prove our guilt..
the burden of proof was on her behalf. If you are going to travel to another country, you have to realise you have to play by their rules and IF you dont like their rules dont go at all..
if you are a smoker you dont go into a non smokers house and smoke away because you do it at your own house.. you abide by their rules to not smoke in their house..
and if you travel you have to abide by the nations laws. Not only did Corby receive a massively disproportionate jail sentence in a hell-hole prison from a justice system to which the words “fair trial” are completely alien, she’s become some kind of joke plaything for the media as well. I can’t believe Nine are wasting their time with corby..
aren’t all the channels into the melbourne gang land crime people..
what happened to Sunday Night television. It use to be so competitive, I never knew what to watch, but now. i dont want to watch any of it. Does anybody still care about her and her bogan family? Four hours of rehashing (pardon the pun) the same old story? No thanks.